EXHEAT MFH flameproof fan heaters provide safe portable, hazardous area certified heating and air warming for Zone 1, Zone 2, Zone 21 and Zone 22 hazardous areas – nicknamed The Bulldog this portable hazardous area ATEX certified fan assisted heater is recommended for offshore heating in potentially explosive atmospheres. 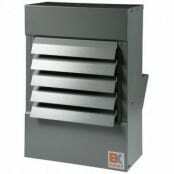 EXHEAT MFH range is designed to provide an air warming solution for small work or storage areas and can be provided with temperature ratings of T3 and T4. 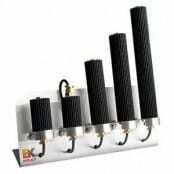 EXHEAT MFH flameproof fan heaters are certified to meet ATEX equipment directive and are tough and durable with a casing made from steel reinforced polymer. 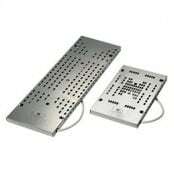 The unit has adjustable feet allowing for the heater to be angled in it’s position and it’s compact design means it can be easily stored or transported. The hazardous area portable fan heater comes ready to plug and play with the option of fitting a plug, or hard wiring to an isolator unit and can be optionally fitted with an additional safety device above and beyond the requirements of the certification. Prior to installing the EXHEAT MFH flameproof area fan heaters a visual inspection must be carried out and the heater must be checked to ensure the insulation resistance reading is above 2MΩ per element at 500 volts dc. If the heater fails this test the power and control circuits must be isolated. 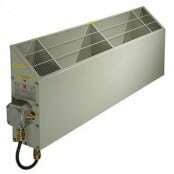 To install the heater carefully remove from the packaging and check for damage. The air warmer should be fixed into place using the pre-drilled holes and all terminal connections checked for tightness prior to energising. 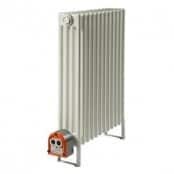 The appliance must be securely fitted to a wall or floor using only the brackets provided and the orientation of the heaters must be strictly adhered to with the heater tube remaining horizontal at all times. 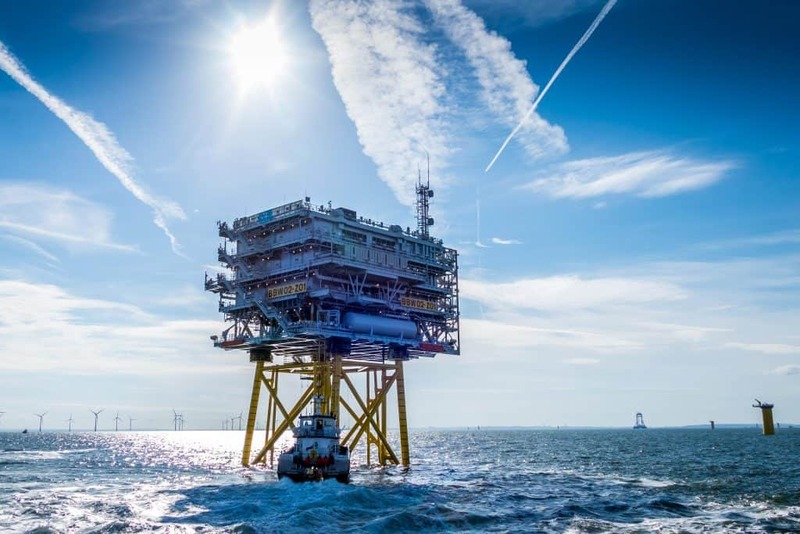 Providing comfortable workspace heating in offshore substations. EXHEAT MFH Portable ATEX Fan Heater: The world’s first truly portable hazardous area fan assisted heater for hazardous area location heating. 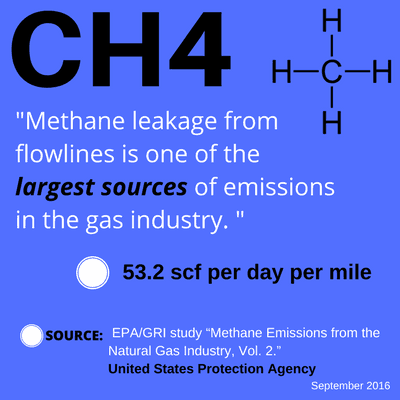 Suitable for Zone 1 & Zone 2 (IIB, IIC) gas groups. 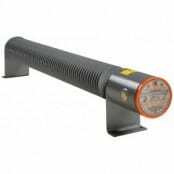 EXHEAT Heaters: temperature maintenance, space heating and air warming for enclosures, cabinets, rooms and stores in hazardous area locations. 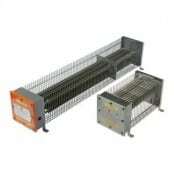 Flameproof heaters can be certified for use in Zone 1 & Zone 2 or Zone 21 & Zone 22 hazardous areas. 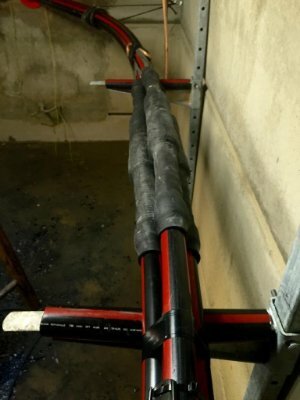 Cable vaults are cold, enclosed, poorly ventilated areas with potentially explosive gas atmospheres. The “Bulldog” can provide safe and portable heat to electrical utility workers where comfort heating is required in confined spaces and cold climates but the presence of potentially explosive gas atmospheres preclude the use of non-certified heaters or naked flames. Typical applications include portable heating for HV-EHV outdoor cable termination enclosures, towers and cable jointing bays. Often high pressure gas mains and pipelines are routed adjacent to underground high voltage power cables distributing electricity at 66kV, 132kV and up to 400kV. Underground gas pipelines are prone to corrosion and consequently methane gas leakages and pockets pose dangers to jointers, SAPs, substation and switchgear workers. Comfortable and safe working conditions improve labour productivity and enable smooth works progression on site without the disruption of hot-working permit applications. 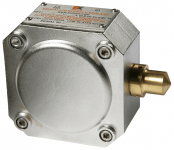 The portable ATEX fan heater is certified for use in potentially explosive gas atmospheres and available with supply options from 110V – 690V and 2KW – 6KW outputs. 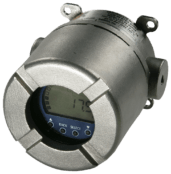 T&D can also specify and supply gas detectors for accurate monitoring of toxic and flammable gas in hazardous area workplaces – for example the Crowcon Gas-Pro portable gas detector is a multigas monitoring device for accurate detection of multiple toxic and flammable gases. 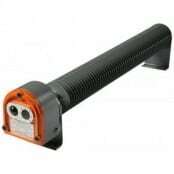 Additionally, T&D distribute Wolf Torches & Portable Lighting to provide safe temporary lighting in hazardous areas in the utility industries where torches, headlamps or floodlights must be certified to international classifications, such as ATEX. See our Blog, Electrical Heating In Hazardous Areas for more information. 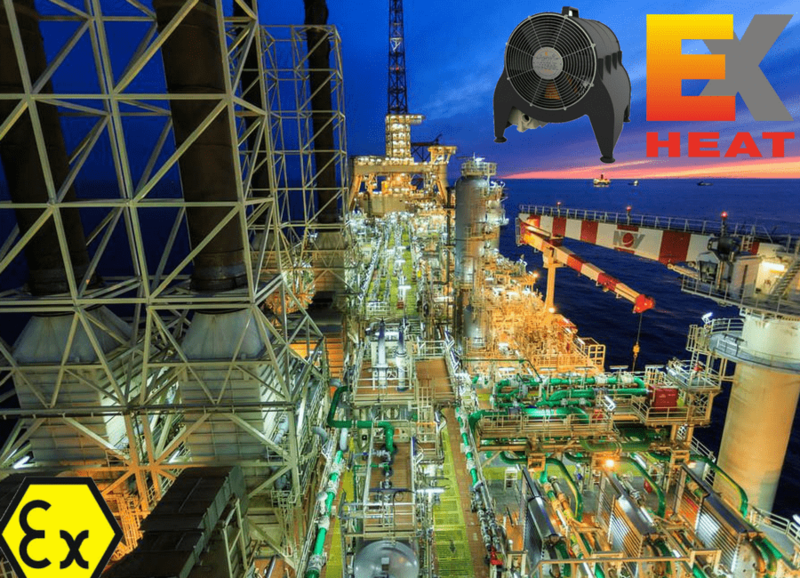 Thorne & Derrick International distribute Electrical, Mechanical, Process & Instrumentation Equipment to the global hazardous area industries and are approved vendors to most leading oil, gas and petrochemical companies and their EPC’s. 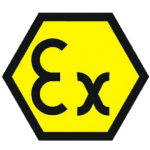 T&D supply ATEX & IECEx Certified equipment for the detection, metering, flow measurement and heat tracing of potentially explosive gases in hazardous areas Zone 1 and Zone 2. ➡ Did you know? T&D have a dedicated Exports and Hazardous Area Sales Team, send an enquiry. ➡ Did you know? T&D are Thermon, The Heat Tracing Specialists, largest UK stockist. ➡ Did you know? T&D are Trained by Crowcon in the specification and sale of Gas Detectors.